Can the GCC Weather the Economic Meltdown? As the storms of economic crisis gathered throughout Europe, Asia, America, and the rest of the world in late 2007, one area alone seemed immune. By mid-July 2008, oil prices had skyrocketed to almost $150 per barrel (p/b), higher than ever before, and the Gulf Cooperation Council (GCC) states of Bahrain, Kuwait, Oman, Qatar, Saudi Arabia, and the United Arab Emirates (UAE) seemed set to benefit from a huge financial surplus. This rosy scenario was short-lived; soon enough, the wave of economic disaster sweeping the world reached the shores of the Persian Gulf, damaging the petroleum export revenues as well as the oil-related and tourism businesses. But beyond having to cope with the dramatic economic turndown, the crisis has exposed an Achilles' heel in the oil-based economies of the region. The GCC countries' traditional reliance on foreign nationals for labor as well as their subsidization of the native population through make-work "white collar" jobs seems no longer sustainable and may have disturbing short- and long-run political effects. By 2008, GCC travel and tourism activities contributed $113 billion to the Gulf states' economies, namely, more than 10 percent of their total GDP. But following the financial crisis, there was a marked decline in tourism activities. As the tourism industry is inextricably linked to other industries and services, the slowdown in the tourism industry had an impact on many other sectors, including construction and building, banking and insurance, and transportation. During the four years prior to the onset of the crisis, the economic growth rate worldwide was impressive with global gross domestic product (GDP) real growth rate amounting to 4.5 percent in 2005, 5.1 percent in 2006, and 5.2 percent in 2007. Those economies under the jurisdiction of the UNESCWA (U.N. Economic and Social Commission for Western Asia)—Egypt, Sudan, Jordan, the Palestinian Authority, Syria, Lebanon, Iraq, Yemen, and the GCC countries—exhibited slightly better growth. This increase, amounting to 6.9 percent in 2005, 5.9 percent in 2006, and slightly declining to 5.4 percent in 2007, led to a substantial improvement in the living standard of these countries. The major factor for the rapid economic development in the Arab region as a whole, but particularly in the Persian Gulf oil economies, was the rapid rise in both oil production and oil prices. In 2008, crude oil production of the GCC countries skyrocketed to 16.4 million barrels per day (b/d), representing an increase of 7 percent from the previous year (see Table 1). This resulted from the rapid increase in consumption, rising from 84 million b/d in 2005 to 86.9 million b/d in the first quarter of 2008 because of burgeoning, worldwide oil demand led by the emerging economies of Asia, mainly China and India. The rapid rise in oil consumption was accompanied by accelerated increases in prices, which skyrocketed to $131.2 p/b on average in July 2008, compared to $88.4 p/b in January 2008 (see Table 2), and to $23.1 p/b in 2001 (see Table 3). In 2008, GCC oil revenues amounted to $575 billion, compared to $328 billion in 2007, and only $137 billion in 2003 (current prices). In mid-June 2008, prior to the peak of the oil prices a month later, the Saudi Economic Survey reported that "Saudi Arabia is making over a $1 billion a day in oil revenues." Driven by the increase in oil and gas revenues, total governmental revenues in Oman increased by more than 50 percent between 2006 and 2008, from $10 billion in 2006 to $15.6 billion in 2008. In addition to oil and gas revenues and their related petrochemical products, the GCC's economic expansion since 2004 has also been driven by the rapid growth of the tourism industry. While the global tourism industry grew rapidly in the 2000s, this increase was marked with numerous setbacks, beginning with the devastating consequences of the September 11, 2001 Al-Qaeda terrorist attacks on the United States, through attempted and actual terrorist attacks in Europe and Asia during the decade, the U.S. invasion of Iraq in 2003, and culminating in skyrocketing oil prices in mid-2008 that affected air travel adversely. Despite this, GCC tourism industries expanded more than twice the worldwide average during the decade and were generally characterized by stability with only minor ups and downs, even during periods of regional tension. 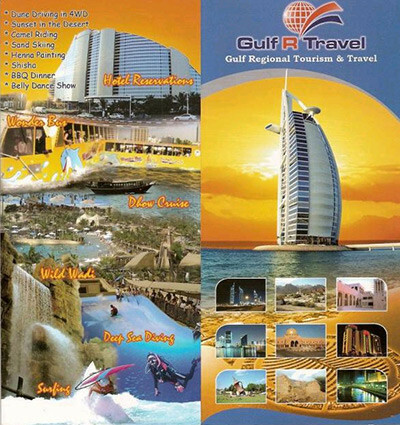 Consequently, during the past decade, the tourism industry became one of the economic cornerstones of the Persian Gulf states, both in terms of development and employment generation, even in Saudi Arabia, which is traditionally opposed to any tourism activity not of a religious nature. By 2008, GCC travel and tourism activities contributed the seemingly inconceivable amount of $113 billion, namely, more than 10 percent of their total GDP (see Table 4). In general, from 2002-08, the GCC economy tripled in size, reaching the unforeseeable amount of $1.08 trillion in 2008 with a surplus in the current account balance of $292.3 billion, representing 27.1 of the total GDP—an increase of 44.7 percent compared to 2007. Thus, by mid-2008, the economic situation in the countries of the GCC was better than ever with foreign assets having increased dramatically from $1,036 billion in 2006 to $1,352 billion in 2008; the Saudis' foreign assets alone increased by 85 percent within that two year span. A major consequence of the GCC's flourishing economic situation was a dramatic increase in the number of foreign laborers. During this decade, but particularly during the past five years, in each of the Persian Gulf countries, the numbers of foreign laborers dramatically increased, including in Bahrain and Oman, the two countries where the labor force nationalization policy is considered to be most successful. Overall by 2008, foreign laborers in the GCC countries numbered 10.6 million compared to 8.5 million in 2005. The strong economic and investments boom in the GCC region will also continue apace for the medium term. With oil prices expected to remain in triple digits for the remainder of 2008, and several major capacity expansions in the pipeline across oil and non-oil sectors, the GCC states remain firmly on course for strong, broad-based economic growth for the medium term. Despite the spread of the global financial malaise, these positive projections continued, largely based on the assumption that this worldwide crisis would be quite similar to that of the oil crisis of 1973-74. During that period, developed economies were severely affected as a result of sharp increases in oil prices while the Persian Gulf oil economies expanded rapidly through growing oil revenues. In fact, this scenario did actually recur in the second half of 2007 and the first half of 2008. However, all of these optimistic forecasts suddenly collapsed following the crash of oil prices from their peak of $131.2 p/b on average in July 2008 to $69.2 on average in October 2008, and then to less than $40 toward the end of the year (see Table 2). The collapse of Lehman Brothers in mid-September 2008 increased the worldwide panic, and the GCC economies could no longer escape the global recession. The huge financial liquidity that existed in the Persian Gulf economies since 2004 evaporated almost immediately. A gloomy economic atmosphere spread as well; in March 2009, the Financial Times quoted an employee of Dubai International Capital: "It's a nightmare. We go into the office unsure if we will have a job at the end of the day." In 2009, GCC oil revenues amounted to $302 billion, a decline of 42 percent from 2008 and even lower than that of 2007 and 2006. Consequently, (see Table 5), the real GDP growth rate in all the GCC countries (with the exception of Qatar, which continued to enjoy high growth rate) stagnated, with a negligible contracted growth rate of -0.2 percent on average, translating into a decline of at least 2.8 percent in per capita terms. The sudden slump in oil revenues has had a ripple effect on oil-related industries. For example, Saudi Arabia Basic Industries Corporation (SABIC) had a net loss of $260 million during the first quarter of 2009, its first quarterly loss in seven years. The sharp decline in SABIC's profits was the result of the drop-off in both the production scale and the prices of the products due to stagnation in the automotive and electronic industries worldwide. RAK Steel, based in the UAE, stopped production in fall 2008 at its 500,000 ton-a-year plant. The downturn in raw material demand led not only to a decline in profits but to a delay in the planned capacity expansion. The decline in profits in private sector companies led, naturally, to cuts in wages. During the first quarter of 2009, for example, the salaries of construction workers in Persian Gulf states fell by 15 percent on average. This fall in wages was mainly due to the decline in demand for labor as many projects were cancelled completely or their implementation was delayed. Further, across the Gulf, there was a marked decline in tourism activities beginning in the third quarter of 2008, with the worst situation in Dubai. As the tourism industry is inextricably linked to various industries and services, the slowdown in the tourism industry had an impact on many other sectors as well, including construction and building, banking and insurance, and transportation. From the onset of the crisis up until April 2009, an estimated $364 billion worth of projects (28 percent of the $1.3 trillion projects in the pipeline) have been put on hold or cancelled in the UAE alone, almost all of them in construction. In Bahrain there has been a significant reduction in private investments since the third quarter of 2008. In Saudi Arabia, U.K.-Australian mining giant Rio Tinto announced in December 2008 that it was unable to finance its 49 percent stake in a $10 billion aluminum joint venture with the Saudi Arabian Mining Company (Ma'aden). In general, it seems that about half of the "mega-projects" in the GCC came to a halt due to the recession. The first to suffer from the diminishing scale of economic activities in the Persian Gulf states were foreign laborers as a large percentage of them were employed by the construction and building sector. However, the crisis affected the national workforces as well because the recession actually damaged a fundamental pillar of the GCC's current employment policy—the massive use of cheap foreign labor for low-end employment needs in order to provide higher-end job opportunities for nationals. This employment policy was best evidenced in the tourism, construction, and financial sectors where the number of indigenous employees had expanded rapidly during recent years. Since these sectors were hit more dramatically than others, the number of new job opportunities for nationals in these areas declined significantly. Moreover, as many employers sought to reduce costs, they took advantage of government reductions in the quota percentage for nationals by hiring cheaper foreign laborers instead of more expensive citizens. At the fifteenth annual conference of the Emirates Centre for Strategic Studies and Research in February 2010, Bahraini labor minister Majeed al-Alawi declared, "The GCC employs seventeen million foreign workers, but has more than one million unemployed citizens." It should be noted, however, that despite the worsening of the employment situation, many nationals still do not want to work in many occupations. For example, persuading Saudis to work on a building site is a tough sell as they prefer to work in the public sector or in a clerical job. Hence, despite the severe recession, the "rentier mentality" (relying on income or wealth that is unrelated to actual work and risk bearing ) of the nationals continues to contribute to underemployment and unemployment. The governments of the GCC states are dealing with the consequences of the crisis in a number of ways. One approach is to implement expansionary fiscal policy by increasing public spending to counter the slump in private sector activity. This has been carried out in the main by raising the budget for public works, primarily in the infrastructure arena for electricity, water desalination, transportation, and in the tourism sector. This policy has three goals: to maintain the economic activity level, to create new job opportunities for the national workforce, and to prepare for the end of the crisis. Thus the Qatari 2009-10 budget is expected to be the largest ever with the launch of large-scale infrastructure projects such as construction of the New Doha International Airport and the Sidra Hospital, expansion of the Ruwais port, large-scale road-building, expansion of drainage systems, and improvements in educational and vocational facilities. Overall by early 2010, more than $229 billion worth of projects were planned or under way in Qatar alone. The 2009 Omani budget was 10.8 percent higher than that of 2008 despite the sharp decline in governmental revenues. Saudi capital spending for 2009 is also projected to be 36 percent higher than in 2008 and includes $7 billion for a railway linking Damman and Jeddah through Riyadh. Overall, total GCC budget spending in 2010 is likely to increase by 14 percent to a record of $354 billion, boosted mainly by high oil prices. In addition, each of the GCC countries without exception has adopted extraordinary measures in order to restore confidence and to stabilize the financial sector, among them, cutting interest rates, providing bank deposit guarantees, reducing requirements on bank deposits, and introducing new credit facilities in order to strengthen bank liquidity. The Persian Gulf governments have also injected capital into private banks to encourage them to lend more to the private sector. In Saudi Arabia, for example, the reserves requirement for banks has been lowered from 13 percent to 7 percent, $2-3 billion has been injected into banks in the form of dollar deposits, all bank deposits have been guaranteed, and the government has allocated an additional $2.7 billion in credit to low income citizens having problems accessing loans. Riyadh took an additional step to spur private sector hiring of nationals. In April 2009, the Saudi Human Resources Development Fund offered to pay half of the first year's salary in advance for Saudis who were newly hired by private firms. Previously, it had paid a 50 percent bonus after the completion of the employee's first year on the job. The aim of the advanced payment was to tempt companies to increase the number of employed nationals since getting credit from banks had become more difficult since the onset of the financial crisis. Saudi authorities also strengthened the inspection regime for private companies' adherence to the government-mandated quotas for national employees. Increasing oil production spare capacity in order to sustain moderate prices for the long-run was another measure adopted by many GCC members. There were two goals for this increase: First, stable and moderate oil prices constitute a major tool for global economic recovery, which the GCC economies need for their own recovery. The second aim has been to maintain a long-term demand for oil at the expense of alternative energies. In mid-2009, the Saudi Arabian crude production capacity amounted to 12.5 million b/d, more than 4 million b/d above its production scale in early 2010 (see Table 1). Since the peak of oil prices in mid-2008, the Saudi authorities have consistently emphasized both their huge proven oil reserves and spare production capacity in an effort to convince oil consumers not to switch to alternative energy sources. The Kuwaiti government is currently acting to increase its oil production capacity to 4 million b/d until 2020. Maintaining the level of the current global oil demand is viewed as insurance for long-term governmental revenues, also enabling the GCC governments to maintain high expenditure levels. Despite considerable damage to the GCC economies resulting from the global crisis, the situation in these countries was and still is much more favorable than that of the rest of the world's economies. In the developed economies, expansionary fiscal policy has been financed by loans while in the Persian Gulf states, it is financed by governmental reserves from previous oil boom years. In the case of Oman— the GCC economy with the lowest per capita oil revenues—the projected $2.1 billion 2009 budgetary deficit included only $259.7 million from borrowing with the remaining $1.844 billion to be financed by governmental reserves. In other GCC economies, there was no need for borrowing to finance expansionary budgets. The exception to all this was Dubai due to its unique economic structure. Since its modern beginnings in the early twentieth century, Dubai has had a cosmopolitan economic philosophy. In the 1930s, Dubai's port and suq (market) were the largest in the Gulf with a quarter of its 20,000 inhabitants foreigners. Despite the discovery of oil in 1966, Dubai's rulers developed an economic diversification policy. With a current oil production level of about 240,000 b/d and proven oil reserves only sufficient until 2030, Dubai's oil revenues were, from the start, considered a temporary tool to promote economic diversification. As a result, prior to the crisis, Dubai was an example of an oil-based economy that had succeeded in achieving economic diversification. In 2008, the tourism industry, for example, contributed (directly and indirectly) about 30 percent to Dubai's total GDP while oil and oil-related industries constituted only 2.1 percent. Overall during the 2000-08 period, Dubai's GDP growth rate amounted to 13 percent on annual average—higher than all of the other GCC economies and even higher than that of China and India. The downside to this was that Dubai had less substantial financial reserves from oil export with mega-projects financed through massive loans. Dubai had gambled that its tourism industry, the largest in the Gulf area and characterized by such landmarks as the Palm Islands, Dubailand, and the Burj al-Arab hotel, would continue to expand. However, Dubai's economic miracle ended during the third quarter of 2008. Within a few weeks, Dubai deteriorated into its worse recession ever. The speed of its downfall paralleled the speed of its growth. The International Monetary Fund (IMF) has calculated Dubai's total debt in early 2010 at $109.2 billion, or 130 percent of its 2009 total GDP. The tourism industry was perhaps hit hardest. From its beginnings in the mid-1980s, Dubai's tourism industry never relied on the sun, sand, and sea model aimed at the middle class but focused almost exclusively on top-end tourism. Dubai was the area's entertainment hub and a destination for congresses and international competitions. A large percentage of the industry was based on working meetings and seminars of the largest multinational companies and banks, the same firms most damaged by the crisis, which would naturally cut expenses by eliminating such costly gatherings. Thus, Dubai's room occupancy rate declined through 2008 with continued deterioration through 2009. Indeed, the latest IMF report on the UAE stated that "even though Dubai has achieved an impressive degree of diversification and has become a major trading and services regional hub, recent events call into question the sustainability of enhancing growth through large-scaled and highly leveraged property development." As a member of the United Arab Emirates federation, it is likely that Dubai will manage to extricate itself from its current recession with some "brotherly" assistance from Abu Dhabi. The question remains: What policy will Dubai's leaders adopt to ensure that this kind of recession will not wreak havoc again? It appears that timely responses by the GCC governments to the worldwide financial crisis brought about stability in their economies when most other worldwide economies were still shaken by it. Since the second quarter of 2009, the Persian Gulf economies have gradually returned to solid growth. Much higher than expected oil prices—above $70 p/b on average during the second half of 2009 compared to $41-$50 in early 2009 (see Table 2) — were a major contributor to the recovery, allowing the continuation of aggressive spending plans. The GCC economies have thus far managed to weather the global crisis reasonably well. Only Oman and Bahrain suffered from public finance deficit in 2009, but even there the deficits were minimal. A major sign of the area's economic recovery is the increasing recruitment of foreign workers since March-April 2009. Hence, workers' remittances from the GCC countries in 2009 increased by almost 8 percent, compared to a decline of 6 percent of the global remittances. Similar signs are seen in the recovery of many GCC companies' performances since the third quarter of 2009, and many companies based in the GCC are using current low prices for raw materials and real estate to develop new projects. According to the World Bank, the growing trend is expected to continue in 2010, based on high oil prices and the GCC's expansionary budgets. A major contributor to the GCC's current economic growth is the rapid recovery of Asia's emerging economies, particularly that of China and India.A critical economic risk for the GCC countries would be a sharp decline in oil prices below the fiscal and current account break-even point. As oil prices are much higher than this, Gulf economies are largely secure from falling into a deep recession. However, this economic good news exposes a more problematic long-term vulnerability. While the GCC economies and governments are secure for the short-run, the recent crisis exposed a fundamental economic weakness within the Gulf states, i.e., the structural contradiction between the goals of increasing privatization and economic liberalization on the one hand and the rentier mentality of their societies on the other. Historically, the GCC elites encouraged labor policies that enabled private employers to recruit as much foreign labor as needed with little restriction on minimum wages. Meanwhile the vast majority of the national workforce was employed by the public sector under lucrative work conditions and high salaries. But with the privatization of government assets and establishments, employees are transferred from the public to the private sector, signaling the ruling families' abandonment of their "rentier commitment" to their citizens in the form of large-scale public sector employment. On the political front, the Gulf states have remained stable due to the existence of the rentier formula : no personal income tax but no political representation for nationals. But today's GCC subjects, in contrast to those of the 1970s and 1980s, are better educated with more university graduates. Will these better-informed and sophisticated subjects continue to allow the ruling families to make political decisions without the guarantee of public sector employment? What would the political consequences of a rapid increase in unemployment among the national workforces be, particularly among this educated younger generation? This was an important question even prior to the onset of the current global recession when unemployment in recent years amounted to more than 10 percent in each of the GCC countries. In addition, there has been a steady increase in the percentage of the foreign population to the total population, a community that may some day soon demand a voice and amelioration of their working and living conditions. Gulf rulers, it should be noted, are fully aware of these problems. With some minor differences between the countries, they are trying to cope using three parallel mechanisms. The first approach is to steadily increase oil production capacity to ensure the financial resources needed to maintain the rentier system. This also helps to continue demand for oil as the world's primary energy source at the expense of pursuing alternative energy sources. The second strategy is to withdraw gradually from their prior pro-natalist policies (adopted mainly by the two most populous countries, Saudi Arabia and Oman) while simultaneously diversifying the ethnic and national composition of the foreign labor population. The strategy here is to inhibit large group cohesion and a potential demand for citizenship by foreign workers. Finally, in contrast to the previous policy of trying to replace foreign workers with nationals, Gulf leaders now emphasize the creation of as many suitable job opportunities as possible for the national workforces, particularly for educated, first-time job seekers. This is to be accomplished through economic diversification and the development of new areas, which, while demanding a large foreign workforce also provide many job opportunities for higher-end nationals, particularly in the financial sector and the tourism industry. All of these policies and measures, however, have the potential to solve the GCC socioeconomic problems in the short run only, as none of them can ensure the development of modern industries, which demands first and foremost a withdrawal from the current rentier political formula. However, to withdraw from the rentier formula is to totally change the political system that constitutes the cornerstone of their rule. Ultimately the question remains: How long can Gulf ruling families maintain the current structure as their national populations continue to grow? What is the breaking point which would cause the entire GCC rentier system to collapse? At present, these crucial questions remain open. Onn Winckler is associate professor in the Department of Middle Eastern History, University of Haifa. * Including Bahrain's share of Abu Sa'afa oilfield. Source: EIA, International Petroleum Monthly, June 2010, table 1.1; ESCWA data. * The RBP, introduced on June 16, 2005, consists of: Saharan Blend (Algeria), Girassol (Angola), Oriente (Ecuador), Iran Heavy (Islamic Republic of Iran), Basra Light (Iraq), Kuwait Export (Kuwait), Es Sider (Libya), Bonny Light (Nigeria), Qatar Marine (Qatar), Arab Light (Saudi Arabia), Murban (UAE) and Merey (Venezuela). Source: OPEC, Annual Statistical Bulletin-2008 (Geneva, 2009), p. 113, table 71; OPEC Bulletin, May 2010, p. 90, table 1. Source: The Travel & Tourism Competitiveness Report, World Economic Forum, Geneva, 2007, 2009. Sources: 2008 MENA Economic Developments and Prospects (Washington, D.C.: The World Bank, 2009), p. 7, table 1.3; Survey of Economic and Social Developments in the ESCWA Region, 2008-2009 (New York: U.N. Economic and Social Commission for Western Asia, Mar. 2009), p. 4; Regional Economic Forecast (New York: U.N. Economic and Social Commission for Western Asia, Dec. 2009), p. 2, table 1. Forty-Fifth Annual Report-1430H (2009G), Saudi Arabian Monetary Agency, Riyadh, p. 8, table 1.1. Survey of Economic and Social Developments in the ESCWA Region, 2007-2008 (New York: U.N. Economic and Social Commission for Western Asia, 2008), p. 1, table 1.
 International Petroleum Monthly, U.S. Department of Energy, Energy Information Administration (EIA), Washington, D.C., Dec. 2009, table 2.1. "GCC Growth Starts to Revive, Oil Revenues Set to Increase, Saudi Arabia Seen as Key to Continuing Moderate Oil Prices," State News Service, Oct. 1, 2009; Mahmoud Mohieldin, "Neighborly Investments," Finance & Development, Dec. 2008, p. 40. Indo-Asian News Service, Aug. 21, 2008. Saudi Economic Survey (Riyadh), June 11, 2008. Facts & Figures, 2008 (Muscat: Sultanate of Oman, Ministry of National Economy, June 2009), p. 7. "World Tourism Barometer," U.N. World Tourism Organization, Madrid, Apr. 2010, p. 5. Yoel Mansfeld and Onn Winckler, "The Tourism Industry as an Alternative for the GCC Oil-Based Rentier Economy," Tourism Economics, Sept. 2007, pp. 333-60. The Saudi Gazette (Riyadh), Aug. 1, 2008; Regional Economic Outlook, Middle East and North Africa (Washington, D.C.: International Monetary Fund, May 2009), p. 37, table 2, p. 49, table 15. Garbis Iradian, "GCC Regional Overview," Institute of International Finance, Washington, D.C., Sept. 28, 2009, p. 2, table 2. Main Economic Indicators for the Year 2008 (Manama: Kingdom of Bahrain, Ministry of Finance, July 2009), p. 4, table 2. Central Bank of Oman Annual Report, 2008 (Ruwi: Central Bank of Oman, July 2009), p. 24, table 2.5. Onn Winckler, Arab Political Demography: Population Growth, Labor Migration and Natalist Policies, 2nd ed. (Brighton and Portland: Sussex Academic Press, 2009), pp. 147-66. Asharq al-Awsat (London), Feb. 25, 2008, quoted in MEMRI Economic Blog, Feb. 25, 2008. 2008 MENA Economic Developments and Prospects (Washington, D.C.: The World Bank, 2009), p. xiii. The Saudi Gazette, Aug. 1, 2008. Financial Times (London), Mar. 17, 2009. Emirates Business 24/7, Jan. 11, 2010. "Qatar 2009 Article IV Consultation," Country Report no. 10/41, International Monetary Fund, Washington, D.C., Feb. 2010, p. 20, table 1. Regional Economic Forecast (New York: U.N. Economic and Social Commission for Western Asia, Dec. 2009), p. 4. MEED (Dubai and London), Sept. 8, 2009 supplement. MEED, Sept. 8, 2009 supplement. "The UAE: 2009 Mid-Year Economic Update," Samba Financial Group, Riyadh, July 2009, p. 1. See, for example, MEED, Apr. 17-23, 2009. MEED, Jan. 23-29, 2009; Rio Tinto Alcan, media release, Dec. 17, 2008. The Gulf News (Dubai), Feb. 3, 2010. See, for example, Arab News (Jeddah), Apr. 30, 2010. The Gulf News, Feb. 3, 2010. Hazem Beblawi, "The Rentier State in the Arab World," in Giacomo Luciani, ed., The Arab State (London: Routledge, 1990), pp. 85-98. See, for example, Central Bank of Bahrain Economic Report, 2008 (Manama: Central Bank of Bahrain, 2009), p. 12; The Saudi Gazette, May 1, 2010. "Qatar 2008 Article IV Consultation," Country Report no. 09/28, International Monetary Fund, Washington, D.C., Jan. 2009, p. 13; "Qatar 2009 Article IV Consultation," Feb. 2010, pp. 4-5; MEED, Feb. 6-12, 2009; "Country Report, Qatar," Economist Intelligence Unit, London, Oct. 2009, p. 10. Central Bank of Oman Annual Report, 2008, p. 8. Saudi Economic Survey, Dec. 24, 2008, Mar. 18, 2009; "Country Report, Saudi Arabia," Economist Intelligence Unit, London, Nov. 2009, p. 8; "Saudi Arabia," SAMBA Economic Monitor, Samba Financial Group, Riyadh, Oct. 2009, p. 14. MEED, Aug. 21-27, 2009; MEED Yearbook 2010, Dec. 21, 2009. "GCC 2010 Outlook," Samba Financial Group, Riyadh, Feb. 2010, p. 11. Central Bank of Bahrain Economic Report, 2008, p. 12; "Country Report, Saudi Arabia," Nov. 2009, p. 7; "Qatar 2009 Article IV Consultation," Feb. 2010, pp. 8-9; Iradian, "GCC Regional Overview," Sept. 28, 2009, p. 8, table 7. See, for example, "Kuwait Article IV Consultation," Country Report no. 09/152, International Monetary Fund, Washington, D.C., May 2009, pp. 9-10. "GCC 2010 Outlook," Feb. 2010, p. 10. Arabian Business.com, Apr. 1, 2009. Arab News, Apr. 30, 2010. Reuters, May 6, 2009; Financial Times, June 11, 2009; Iradian, "GCC Regional Overview," Sept. 28, 2009, p. 10; MEED, Dec. 18-24, 2009. "Saudi Arabia's Petroleum Policy and Its Economy," Saudi Arabia Ministry of Petroleum and Mineral Resources, Riyadh, accessed May 21, 2010. "Country Report, Kuwait," Economist Intelligence Unit, London, Nov. 2009, p. 14. See, for example, MEED, Jan. 22-28, 2010. Christopher M. Davidson, Dubai: The Vulnerability of Success (New York: Columbia University Press, 2008), pp. 99-135. "United Arab Emirates: Oil," U.S. Department of Energy, Energy Information Administration, Washington, D.C., accessed June 29, 2010. "Economic Development Statistics 2008," Government of Dubai, Dubai Statistics Center, accessed Apr. 29, 2010. Dubai Strategic Plan-2015 (Dubai: Government of Dubai, Department of Economic Development, 2008), pp. 16-7. SAMBA Economic Monitor, Mar. 2010, p. 17. "Dubai Hotel Statistics," Government of Dubai, Department of Tourism and Commerce Marketing, accessed June 6, 2010. Arabian Business.com, May 18, 2009. "United Arab Emirates 2009 Article IV Consultation," Country Report no. 10/42, International Monetary Fund, Washington, D.C., Feb. 2010, p. 16. Iradian, "GCC Regional Overview," Sept. 28, 2009, p. 1. MEED, Aug. 28-Sept. 3, 2009. "Country Update-Bahrain," Rabobank Nederland, Utrecth, Sept. 2009, p. 4; "Economic Review-2009," Sultanate of Oman, Ministry of National Economy, Manama, Apr. 2010, p. 16. Ibrahim Awad, The Global Economic Crisis and Migrant Workers: Impact and Response (Geneva: International Labour Office, 2009), p. 22. The Saudi Gazette, Apr. 2, 2010. Emirates Business 24/7, Mar. 29, 2010. "Country Report, Saudi Arabia," Nov. 2009, p. 18. The Daily Star (Beirut), Apr. 7, 2010. Regional Economic Forecast, p. 1. "International Labour Migration and Employment in the Arab Region: Origins, Consequences and the Way Forward," Arab Employment Forum, Beirut, Oct. 19-21, 2009, p. 5; Forty-Fifth Annual Report-1430H (2009G), p. 244, table 18.7. Related Topics: Persian Gulf & Yemen | Onn Winckler | Summer 2010 MEQ receive the latest by email: subscribe to the free mef mailing list This text may be reposted or forwarded so long as it is presented as an integral whole with complete and accurate information provided about its author, date, place of publication, and original URL.